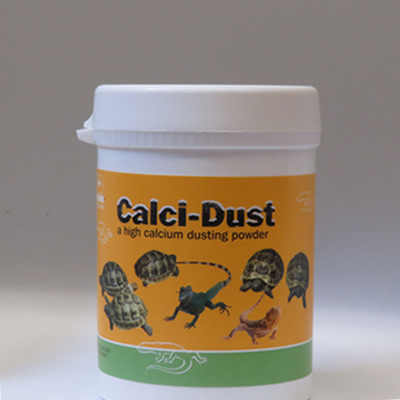 Calci-Dust is a pure, natural calcium compound, ground superfine for maximum digestibility and to stick to all food, vegetables, fruit, crickets and mealworms. For use in vivaria with good quality UV light, therefore no need for additional vitamin D3. For healthy bone growth animals must have vitamin D3 available to be able to obtain calcium from their food. 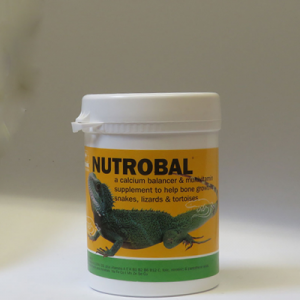 In diurnal reptiles (those awake during the day) which bask this may be made in the skin by UVB from specific high quality bulbs, or it may be included in a full spectrum multivitamin product like Vetark Nutrobal or Vetark Arkvits.